A natural lipstick with clean formula, highly pigmented color and performance driven : just one swipe provides full coverage that locks in place for an unparalleled performance. ILIA Color Block lipstick has smooth, creamy finish and is formulated with the finest organic ingredients to keep lips plump and soft, boosts elasticity and hydration, and leave lips feeling supple and cared for even after several hours of wear. 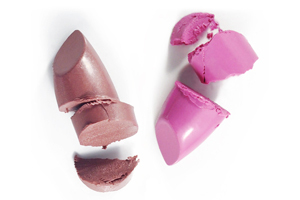 Organic rosewood high impact lipstick. RICINUS COMMUNIS (CASTOR) SEED OIL*, CAPRYLIC/CAPRIC TRIGLYCERIDE, CANDELILLA CERA/EUPHORBIA CERIFERA (CANDELILLA) WAX/CIRE DE CANDELILLA, CERA CARNAUBA/COPERNICIA CERIFERA (CARNAUBA) WAX/CIRE DE CARNAUBA, PRUNUS ARMENIACA (APRICOT) KERNEL OIL, OLEIC/LINOLEIC/LINOLENIC POLYGLYCERIDES, ORYZA SATIVA (RICE) BRAN EXTRACT, SIMMONDSIA CHINENSIS (JOJOBA) SEED OIL, JOJOBA ESTERS, HYDROXYSTEARIC/LINOLENIC/OLEIC POLYGLYCERIDES, HELIANTHUS ANNUUS (SUNFLOWER) SEED WAX, TOCOPHERYL ACETATE, HELIANTHUS ANNUUS (SUNFLOWER) EXTRACT, CAPRYLYL GLYCOL, ETHYLHEXYLGLYCERIN, TOCOPHEROL, BUTYROSPERMUM PARKII (SHEA) BUTTER, CAMELLIA OLEIFERA SEED OIL, AROMA, MANGIFERA INDICA (MANGO) SEED BUTTER, ROSA CANINA FRUIT OIL, ROSMARINUS OFFICINALIS (ROSEMARY) LEAF EXTRACT, THEOBROMA CACAO (COCOA) SEED BUTTER, VITIS VINIFERA (GRAPE) SEED OIL, RUBUS IDAEUS (RASPBERRY) SEED OIL, ACACIA DECURRENS FLOWER CERA/WAX, POLYGLYCERIN-3, BENZYL ALCOHOL, BENZYL BENZOATE, CITRONELLOL, GERANIOL, LIMONENE, LINALOOL , [+/-: TITANIUM DIOXIDE (CI 77891), IRON OXIDE (CI 77491, CI 77492, CI 77499), RED 7 LAKE (CI 15850)**, YELLOW 5 LAKE (CI 19140)**, RED 30 LAKE (CI 73360)**, RED 28 LAKE (CI 45410)**, RED 22 LAKE (CI 45380)**, MANGANESE VIOLET (CI 77742).